As April’s milder temps whisper of the warmth to come this summer, fashion is enjoying what can only be called a “floral frenzy.” Petal fresh colors and glorious floral prints and shapes are sprouting up in everything from purses to mules to dresses and eye wear. Take a peek at my favorite floral frippery. The floral jumpsuit in the main image is by Alice + Olivia. $595.00. http://www.neimanmarcus.com. 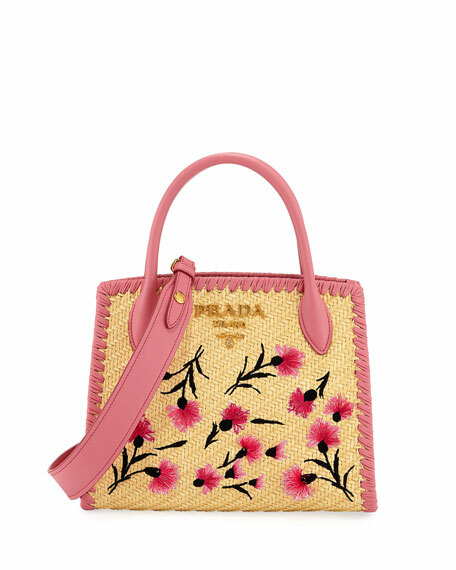 Prada Paglia RicamoTote. 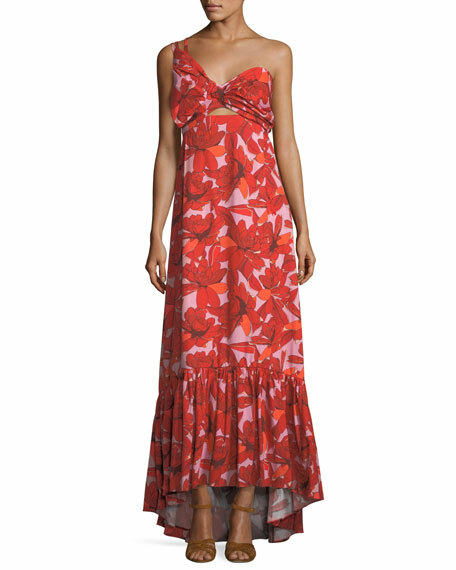 $2, 250.00. http://www.neimanmarcus.com. Oscar de la Renta Clip-On Floral Earrings. They also come in yellow and turquoise. $490.00. www. neimanmarcus.com. 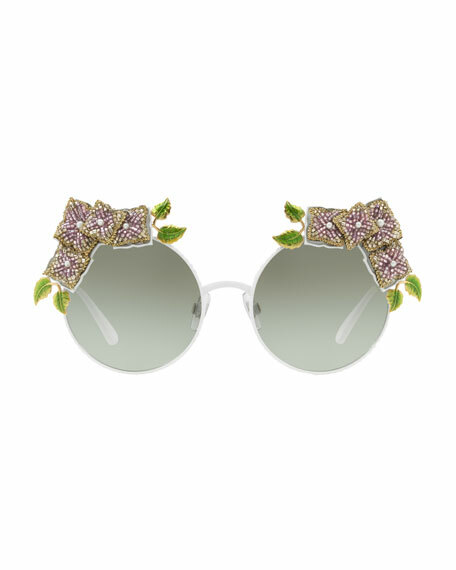 Dolce & Gabbana Floral Sunglasses. $1,230.00. http://www.neimanmarcus.com. Jimmy Choo Edina Floral Sandal. $695.00. http://www.neimanmarcus.com.